You (“The Client”) hereby request AdhocCARE services from Sitters4U (“The Agency”) to procure a Sitter on the terms and conditions set out below for the time requested and from time to time for Private AdhocCARE Services only. AdhocCARE Services are for clients that require occasional booking of a childcare professional or personal assistance for periods ranging from 3 to 12 hours on a once off, or irregular basis in Cape Town, Johannesburg or Pretoria. No service will be rendered without proof of payment. The Client declares that the Client is not an agency and is using this service in a personal capacity only. The Client is solely responsible for the Clients own interactions with Sitters. The Client shall be responsible for the provision and accuracy of any information necessary for Sitters4U to perform the Service of booking a sitter from time to time for AdhocCARE assistance. Should the Client request the services of a Sitter met through, or met through a Sitters met through The Agency, the Client must inform the Agency. The Client shall keep all Sitters details strictly confidential and shall not pass these details on under any circumstances. Sitters4U shall keep the Clients details strictly confidential except where details are required to be passed to Sitters for the purpose of carrying out the requested service. All bookings made are additionally subject to our Placement Service Terms & Conditions of Service. Your membership is personal to you and may not be traded or transferred to another person. If you fail to pay your monthly membership fees on the due date, then you will become liable to pay all costs in connection with the collection of the arrears including legal costs. From time to time we may introduce new services and/or facilities and introduce new membership types. If you wish to make use of any new services or facilities, then we may require you to pay an additional fee. If you wish to cancel, freeze, upgrade or downgrade your membership or change your contract, please write to us on sitters@sitters4u.co.za. We may charge you an administration fee for making these changes. If one or more of these Terms are found to be unenforceable, such Term shall be deemed to be severable from the remainder of this Contract and the Contract shall in all other respects remain in full force and effect. To the fullest extent permitted by law, we may transfer and/or delegate to any third party our rights and/or obligations under this Contract without your consent or notification and you will continue as a member. This Contract contains all the terms and conditions of our agreement and no representation, addition, variation or cancellation of this Contract shall be of any force and effect unless it is in writing and signed by you and us. You agree that we may validly serve any notices at the physical address or email address that we have on record for you. Any notice or communication sent by you to us should be emailed to sitters@sitters4u.co.za. Please check with us to confirm that we have received correspondence addressed to us, as we can only action and be bound by notices that we actually receive. You acknowledge and agree that this Contract was properly and fully completed before you signed it and you confirm that the information contained in it is true and correct and that you fully understand it. The laws of South Africa apply to this Contract. The Agency reserves the right to vary these Terms & Conditions at any time. 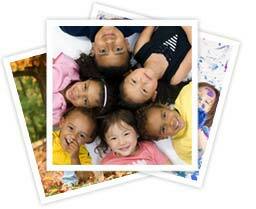 Please visit www.sitters4u.co.za to ascertain our latest Terms & Conditions. The Agency reserves the right to make changes to the Service as deemed necessary or desirable. after 6pm, Monday to Friday, or Anytime over a weekend. Bookings are provided for in the aforementioned notice periods where bookings and payments are received; Monday to Friday between 06h00 and 16h00. For emergency bookings complete your request form here, then send a Whatsapp to +2774 656 0469 to check the availability of a sitter before processing payment on the invoice generated when completing the form. Agency fees are determined by your selected service option, whilst the Sitter Fee is based on your requirements, as specified in your booking form, on a booking-by-booking basis. For Clients who will need AdhocCARE services for 3 months or longer, and make use of the service more than twice monthly. Join the AdhocCARE Club to save up to 50% on Agency Booking fees when compared to Pay-as-you-Go Services, for a small monthly subscription fee as specified in our pricing section below. Our premium service offer, with the AnyTimeCARE Club you will pay no additional Agency booking fees when making bookings except what is due for Sitter Fees and includes up to 22 bookings per month, after which, Babysitting Club booking Fees apply. This service was created for clients whose ChildCARE or HomeCARE needs are irregular in terms of times or the type of service required, for those clients with 'unusual requirements' who find that they are experiencing a high turnover in their contracted childcare staff, or for those clients who do not wish to employ their staff directly and would prefer Sitters4U to handle payments, pay slips, time sheets etc. on their behalf. Sitter Fees as calculated on the booking form per booking. 3-Month Contracts: R 450 per month will be invoiced on a monthly basis, 5 days prior to your last contractual calendar month, starting from your first booking date. 6-Month Contracts: R 350 per month will be invoiced on a monthly basis, 5 days prior to your last contractual calendar month, starting from your first booking date else if paid upfront an amount of R 1680 may be paid to cover your contract for the full period. 12-Month Contracts: R 250 per month will be invoiced on a monthly basis, 5 days prior to your last contractual calendar month, starting from your first booking date else if paid upfront an amount of R 2400 may be paid to cover your contract for the full period. Get an additional 20% off your contract price in paying for your full contract duration on sign up. 3-Month Contracts: An amount of R 1080 is due to be to cover your contract for the full period and service initiated from first booking date. 6-Month Contracts: An amount of R 1680 is due to be to cover your contract for the full period and service initiated from first booking date. 12-Month Contracts: An amount of R 2400 is due to be paid to cover your contract for the full period and service initiated from first booking date. 3-Month Contracts: An amount of R 4320 is due to be to cover your contract for the full period and service initiated from first booking date. 6-Month Contracts: An amount of R 6240 is due to be to cover your contract for the full period and service initiated from first booking date. 12-Month Contracts: An amount of R 9600 is due to be paid to cover your contract for the full period and service initiated from first booking date. Agency Fees do not include the Sitter Fee. Sitter fees will be calculated depending on your requirements for each booking as completed in our online booking form on completion of a booking request, and are charged separately. The Sitters are paid by Sitters4U on behalf of the Client. R 95 per hour upwards for infant care specialist and professional nanny services. If overtime occurs the balance due will be due the following working day at the latest and is paid to Sitters4U’s account. If the Sitter is required to drive anywhere on behalf of the Client, at the Clients request, the Sitter will be reimbursed at R 4.00 p/km driven. If the booking venue is more than 20km from the closest CBD, a fee of R 4.00 p/km is charged for every kilometer above 20km in both directions. Payments are due in full on completion of the quotation and request form. Delay in receipt of payment may result in increased fees if delayed receipt of payment results in the booking changing from being defined as a Primary booking to a Priority booking due. (See section 6.1 regarding pricing for Pay-as-you-Go bookings). The Client will not have use of this service if the Agency and Sitter fee is not paid timeously. When joining the AdhocCARE Club or AnyTimeCARE Service, where the Client selects the monthly payment option, the Client agrees to an initial and recurring Monthly fee at the then-current monthly rate for the contract period selected. Fees are due monthly in advance and will be invoiced for immediate payment 5 days prior to the end of your first month of service and monthly thereafter for the duration of the contract. Contracts are invoiced on a month by month basis, invoiced on and due 5 days before the end of your last calendar month’s use of service. The Client will not have use of this service if the membership is not paid or kept up to date. Payments must be made promptly. Contracts are initiated on receipt of the Clients first booking. The contract will be renewed automatically unless the Client provides 20 working days notice to cancel the contract. The Client accepts responsibility for all recurring charges until the Client cancels their contract. The Agency will continue to automatically process the clients Monthly Contract Fee invoice each month at the then-current Monthly Contract rate, until the Client cancels their subscription. We explain how to cancel a Monthly Contract in the Cancellation and Refund Policy section below. The Client may cancel your contract at any time, subject to the terms of our Cancellation Policy. When joining the AdhocCARE Club or the AnyTimeCARE club, where the Client selects the full payment option, thereby saving 20% on the contracted period, the Client agrees to pay the full contract fee at the then-current quoted rate for the selected period. We explain how to cancel an Full Payment service in section 10 of this document below. The Client may cancel a contract at any time, subject to the terms of section 10 of this document below. Where the Client selects to join the AdhocCARE Club or AnyTimeCARE service the membership will initiate from the clients first booking date. If you pay by monthly your membership will commence from the first booking date provided and will continue for the selected contract/commitment period. Towards the end of your commitment period we will contact you in writing to let you know that your membership is coming to end and to let you know of any material changes to your contract, including any increases to your membership fees. Unless you tell us that you do not wish to continue as a member at the end of your commitment period, your membership will automatically be renewed on the selected contract at the current prevailing membership rate for your contract until such time as you give the Agency 20 business days written notice to cancel your membership. Please keep proof of your request to cancel your membership. If you have paid for your membership in full upfront: Your membership will commence on the Start Date and will continue for a fixed period of the selected contract, from the first booking date provided and will continue for the selected contract/commitment period. Where the Client selects to join the AdhocCARE Club or AnyTimeCARE service the membership the Clients monthly or full payment contract membership fees will be collected as specified in section 6 and 7 of this document. The fees charged to the client for the duration of the contracted period, will remain the same as the fees quoted at the time of signing up to use the service. After the initial commitment period of the contract selected, The Agency may increase the Agency fee from time to time. When the Agency does this, we will give you written notice and if you do not wish to accept the increase, you may cancel your membership by giving the Agency 20 business days’ written notice subject to a reasonable cancellation fee as specified in the Cancellation Policy Section below. If less than 1 month of the membership has transpired since initiation of the contract, 2 months payments will be due and 40% of the residue of the 3rd month’s fees. If less than 2 months of the membership has transpired since initiation of the contract, 3 months payments will be due. If less than 3 months of the membership has transpired since initiation of the contract, 3 months payments will be due. If less than 3 months of the membership has transpired since initiation of the contract, the ‘per month’ contract fee will revert to the fees of a 3 month contract and the fees for cancellation of a 3 month contract apply, additionally, 40% of the total due for the remainder of the 6 month contract will become due and payable on the rates charged for the 6 month contract at the time of contract initiation. If more than 3 months but less than 4 month’s time has transpired since initiation of the contract, 3 months payments at the 3 month contract rate at the time of contract initiation, together with 1 months fees at the 6 month rate and an additional 40% of the residue of the contracts fees that would have been paid over the remainder of the contract will be due. If more than 4 months but less than 5 month’s time has transpired since initiation of the contract, 3 months payments at the 3 month contract rate at the time of contract initiation, together with 2 months fees at the 6 month rate and an additional 40% of the residue of the contracts fees that would have been paid over the remainder of the contract will be due. If more than 5 months and less than 6 months of the membership has transpired since initiation of the contract. 6 months payments will be due on the contracted 6 month contract rate provided at the time of service initiation. If less than 3 months of the membership has transpired since initiation of the contract, the ‘per month’ contract fee will revert to the fees of a 3 month contract and the fees for cancellation of a 3 month contract apply, additionally, 40% of the total due for the remainder of the 12 month contract will become due and payable on the rates charged for the 12 month contract at the time of contract initiation. If more than 3 months but less than month’s 6 time has transpired since initiation of the contract, the ‘per month’ contract fee will revert to the fees of a 6 month contract and the fees for cancellation of a 6 month contract apply, additionally, 40% of the total due for the remainder of the 12 month contract will become due and payable on the rates charged for the 12 month contract at the time of contract initiation. If more than 6 months but less than 7 month’s time has transpired since initiation of the contract, 6 months payments at the 6 month contract rate at the time of contract initiation, together with 1 months fees at the 12 month rate and an additional 40% of the residue of the contracts fees that would have been paid over the remainder of the contract will be due. If more than 7 months but less than 8 month’s time has transpired since initiation of the contract, 6 months payments at the 6 month contract rate at the time of contract initiation, together with 2 months fees at the 12 month rate and an additional 40% of the residue of the contracts fees that would have been paid over the remainder of the contract will be due. If more than 8 months but less than 9 month’s time has transpired since initiation of the contract, 6 months payments at the 6 month contract rate at the time of contract initiation, together with 3 months fees at the 12 month rate and an additional 40% of the residue of the contracts fees that would have been paid over the remainder of the contract will be due. If more than 9 months but less than 10 month’s time has transpired since initiation of the contract, 6 months payments at the 6 month contract rate at the time of contract initiation, together with 4 months fees at the 12 month rate and an additional 40% of the residue of the contracts fees that would have been paid over the remainder of the contract will be due. If more than 10 months but less than 11 month’s time has transpired since initiation of the contract, 6 months payments at the 6 month contract rate at the time of contract initiation, together with 5 months fees at the 12 month rate and an additional 40% of the residue of the contracts fees that would have been paid over the remainder of the contract will be due. If more than 11 months and less than 12 months of the membership has transpired since initiation of the contract. 12 months payments will be due on the contracted 12 month contract rate provided at the time of service initiation. If less than 1 month of the membership has transpired since initiation of the contract, 2 months payments at the ‘3 Month Babysitting Club Memberships paid Monthly’ will be held and 60% of the residue of the 3rd month’s fees at the ‘3 Month Babysitting Club Memberships paid Monthly’ will be refunded. If less than 2 months of the membership has transpired since initiation of the contract, the full 3 months payments will be due at the discounted rate provided for ‘3 Month Babysitting Club Memberships paid in Full’. If less than 3 months of the membership has transpired since initiation of the contract, 3 months payments will be due at the discounted rate provided for ‘3 Month Babysitting Club Memberships paid in Full’. If less than 3 months of the membership has transpired since initiation of the contract, the contract fee will revert to the fees of a ‘3 Month Babysitting Club Membership paid Monthly’ and the fees for cancellation of a ‘3-Month Babysitting Club Memberships paid in Full’ apply. 60% of the residue of the fees charged at the monthly rate at the time of the initiation of the contract on the ‘6 Month Babysitting Club Memberships paid Monthly’ will be refunded on the rates charged for the 6 month contract at the time of contract initiation on the monthly rate apply. If more than 3 months but less than 4 month’s has transpired since initiation of the contract, 3 months payments at the a ‘3 Month Babysitting Club Membership paid Monthly’ at the time of contract initiation, together with 1 months fees at the ‘6 Month Babysitting Club Memberships paid Monthly’. 60% of the residue of the fees charged at the monthly rate at the time of the initiation of the contract on the ‘6 Month Babysitting Club Memberships paid Monthly’ will be refunded on the rates charged for the 6 month contract at the time of contract initiation on the monthly rate apply. If more than 4 months but less than 5 month’s has transpired since initiation of the contract, 3 months payments at the a ‘3 Month Babysitting Club Membership paid Monthly’ at the time of contract initiation, together with 2 months fees at the ‘6 Month Babysitting Club Memberships paid Monthly’. 60% of the residue of the fees charged at the monthly rate at the time of the initiation of the contract on the ‘6 Month Babysitting Club Memberships paid Monthly’ will be refunded on the rates charged for the 6 month contract at the time of contract initiation on the monthly rate apply. If more than 5 months but less than 6 month’s has transpired since initiation of the contract, 6 months payments will be due at the discounted rate provided for ‘6 Month Babysitting Club Memberships paid in Full’. If less than 3 months of the membership has transpired since initiation of the contract, the ‘paid in full’ contract fee will revert to the fees of a ‘3 Month Babysitting Club Membership paid Monthly’ and the fees for cancellation of a ‘3-Month Babysitting Club Memberships paid in Full’ apply. 60% of the residue of the fees charged at the monthly rate at the time of the initiation of the contract on the ‘12 Month Babysitting Club Memberships paid Monthly’ will be refunded on the rates charged for the 3 month contract at the time of contract initiation on the monthly rate. If more than 3 months, but less than 6 months of the membership has transpired since initiation of the contract, the ‘paid in full’ contract fee will revert to the fees of a ‘6 Month Babysitting Club Membership paid Monthly’ and the fees for cancellation of a ‘6-Month Babysitting Club Memberships paid in Full’ apply. 60% of the residue of the fees charged at the monthly rate at the time of the initiation of the contract on the ‘6 Month Babysitting Club Memberships paid Monthly’ will be refunded on the rates charged for the 6 month contract at the time of contract initiation on the monthly rate. If more than 6 months but less than 7 month’s has transpired since initiation of the contract, the ‘paid in full’ contract fee will revert to the fees of a ‘6 Month Babysitting Club Membership paid Monthly’ and the fees for cancellation of a ‘6-Month Babysitting Club Memberships paid in Full’, together with 1 months fees at the ‘12 Month Babysitting Club Memberships paid Monthly’. 60% of the residue of the fees charged at the monthly rate at the time of the initiation of the contract on the ‘6 Month Babysitting Club Memberships paid Monthly’ rates will be refunded. If more than 7 months but less than 8 month’s has transpired since initiation of the contract, the ‘paid in full’ contract fee will revert to the fees of a ‘6 Month Babysitting Club Membership paid Monthly’ and the fees for cancellation of a ‘6-Month Babysitting Club Memberships paid in Full’, together with 2 months fees at the ‘12 Month Babysitting Club Memberships paid Monthly’. 60% of the residue of the fees charged at the monthly rate at the time of the initiation of the contract on the ‘6 Month Babysitting Club Memberships paid Monthly’ rates will be refunded. If more than 8 months but less than 9 month’s has transpired since initiation of the contract, the ‘paid in full’ contract fee will revert to the fees of a ‘6 Month Babysitting Club Membership paid Monthly’ and the fees for cancellation of a ‘6-Month Babysitting Club Memberships paid in Full’, together with 3 months fees at the ‘12 Month Babysitting Club Memberships paid Monthly’. 60% of the residue of the fees charged at the monthly rate at the time of the initiation of the contract on the ‘6 Month Babysitting Club Memberships paid Monthly’ rates will be refunded. If more than 9 months but less than 10 month’s has transpired since initiation of the contract, the ‘paid in full’ contract fee will revert to the fees of a ‘6 Month Babysitting Club Membership paid Monthly’ and the fees for cancellation of a ‘6-Month Babysitting Club Memberships paid in Full’, together with 4 months fees at the ‘12 Month Babysitting Club Memberships paid Monthly’. 60% of the residue of the fees charged at the monthly rate at the time of the initiation of the contract on the ‘6 Month Babysitting Club Memberships paid Monthly’ rates will be refunded. If more than 10 months but less than 12 month’s has transpired since initiation of the contract, the discounted fee for the 12 month contract will be due and no refund will take place. If the booking is cancelled with less than 2 working days notice, no refund will be made. If the booking is cancelled with more than 2 working days notice, a refund of 50% of the Sitter Fee will be refunded within 14 days. The Agency may need to cancel a booking where the Sitter has experienced a problem, medical or otherwise that prevents the Sitter from attending the booking. In these cases, the Agency reserves the right to provide a replacement Sitter or cancel the booking if no replacement can be provided. Where the Agency cannot provide a replacement, the agency will withhold the booking fee as the agency has performed its function in sourcing the Sitter for the required booking and refund 100% of the Sitter fee within 14 days or fees paid may be transferred for a next booking. Should a Candidate not arrive for a booking the Agency will refund 100% of the Booking and Sitter Fee paid, within 14 days or fees paid may be transferred for a next booking. You commit a breach of these Terms or if you engage in any conduct which in our opinion would have a negative effect on us, other members or our staff or is detrimental to the welfare, good order or character of Sitters4U. Any part of your membership fees are not paid in full when due. The information you supplied to us is found to be incorrect and/or false. You have directly contacted one of our Sitters to make a booking instead of contacting the agency to make a booking. You have contracted one of the Sitters introduced to you by the Agency or asked for referrals to other Sitters from a Sitter introduced to you by the Agency. You are in violation of any of the terms contained herein. You act in an abusive or threating manner to any Sitter. If you have committed to a 12 month membership, you may freeze this Contract for a minimum of 1 month up to a maximum of 3 months in a 12 month cycle for medical and travel reasons provided you are not in arrears. We will charge you a monthly administration fee for freezing your membership. Not applicable to contracts shorter than 12 months. The Client undertakes to treat all information supplied by Sitters4U about a Candidate as confidential and not to pass such information on to any third party, unless strictly required in order for the Candidate to carry out her obligations to the Client. The Client understands that in order to make a booking, or request of service the Client must always first contact Sitters4U before speaking to any Candidate that the Client has met at any point in time through Sitters4U in order to request their services. Should a Candidate introduced to the Client by Sitters4U enter into any other employment arrangement through the Client, directly or indirectly, notwithstanding that such other employment arrangement would exclude Sitters4U from receiving a placement fee or receiving a service fee, Sitters4U shall nevertheless be entitled to a placement fee from the Client in accordance with the terms and conditions set out in the applicable services terms and conditions of the procured service. Delinquent bills will be assessed a R300 (ZAR) if payment is not received within 10 days of the date on the invoice that the Client will be emailed or given by the selected sitter. If an amount remains delinquent 30 days after its due date, an additional 10% penalty will be charged monthly. Should this fee not be paid in full or as agreed in writing and the account is handed over for collection, the Client will, in addition to the placement fee and any fees due to the Candidate, will also be responsible for all legal costs incurred. If at any time after an initial meeting between a Client and Candidate referred by Sitters4U becomes either directly or indirectly employed by the Client, and the Client does not notify Sitters4U or does not pay the appropriate placement fee the Client agrees to pay Sitters4U, in addition to a once off payment equivalent to 100% of the Candidates monthly income, an additional fee of R 10 000 will be added and the Client agrees to be responsible for any legal costs incurred by Sitters4U in collecting such fees. The Client understands that by agreeing to these terms and conditions the Client may not employ any friends or relatives of the Candidates sent to them by Sitters4U. Clients that employ the above mentioned people agree to pay, in addition to a once off payment equivalent to 100% of the Candidates monthly income, an additional fee of R 10 000 will be added and the Client agrees to be responsible for any legal costs incurred by Sitters4U in collecting such fees. Clients wishing to employ such above mentioned persons understands that they can recommend such people to Sitters4U to be screened properly to ensure their qualifications. In selecting the Candidate, Sitters4U has relied on the information supplied by the Candidate, and the information obtained from references supplied by the Candidate. Sitters4U has relied on such information in good faith and has passed on such information to the Client in good faith. Sitters4U shall bear no liability whatsoever for any loss or damage suffered by the Client, directly or indirectly, arising from the Candidates employment with the Client. In the event that the Candidate suffers any loss, injury or damage arising out of her employment with the Client, the Client hereby indemnifies Sitters4U in respect of any claims made against Sitters4U as a result of such loss, injury or damage by the Candidate or by any other person. Sitters4U shall use its best endeavors to insure that the Sitters presented to the Client are suitable for the Client's needs, but expressly gives no warranty whatsoever that the Sitter will be suitable. This document contains the whole agreement between the parties. No variation, amendment, deletion or addition to these terms and conditions shall be valid unless in writing and signed by the parties. Neither party shall be bound by any express or implied term, representation, warrant, promise or the like not recorded in this contract. No indulgence granted by Sitters4U to the Client shall be deemed to be a waiver of any of rights of Sitters4U.